The history of Blackflame is shrouded in mystery. Every flame casts a shadow, and it is within that shadow the Blackheart first took root. In the beginning, at the time Blackflame came to the land of Ayenee so too did Blackheart. Similar and yet different, as different as the demons that the families drew their names from. Though within the power of the demons that chose to follow that name, the history is often forgotten, varied, else wise boring. For much of the time before the cataclysm that befell Ayenee, despite the existence of Blackheart Castle, despite the constant bickering and warring between the two families, many of those who claimed the name Blackheart spent much of their time within the walls of the manor, atop the hill, under the banner of Blackflame - in truth many defected. When there are two siblings, one shall always strive to be the better, and one shall in truth always be the better. It is the unfortunate fate of Blackheart to have dwindled in numbers, power, and strength, and appeal. Those few who remained loyal after the cataclysm took to Blackheart Castle, isolating themselves in an attempt to weather out the long years after the destruction of Ayenee. 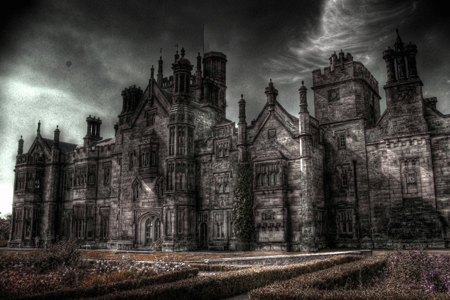 Castle Blackheart is a large gothic structure, situated on the other side of the lake from Blackflame Manor, which towers above the landscape. The building is magically tethered to the current Queen of Blackheart, allowing her to sense changes within the land they govern. It’s endless expanse of rooms and corridors give it an unsettling ambiance that can often be summed up as foreboding. Many of the human servants that reside within were acquired through less than reputable means. Much like the manor, various magical spells protect the structure from both exterior and internal threats that might emerge. The servants of the manor are NPCs ( you are welcome to play a servant if you like! ) that you are welcome to use and control. As an example, you can have a servant bring a glass of wine, prepare food, deliver a message, ect. 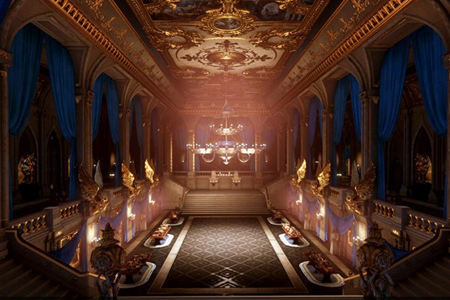 All of the rooms of the castle are different and vary in size and amenities. With the magical properties of the structure you are encouraged to design your character's room however you'd like.